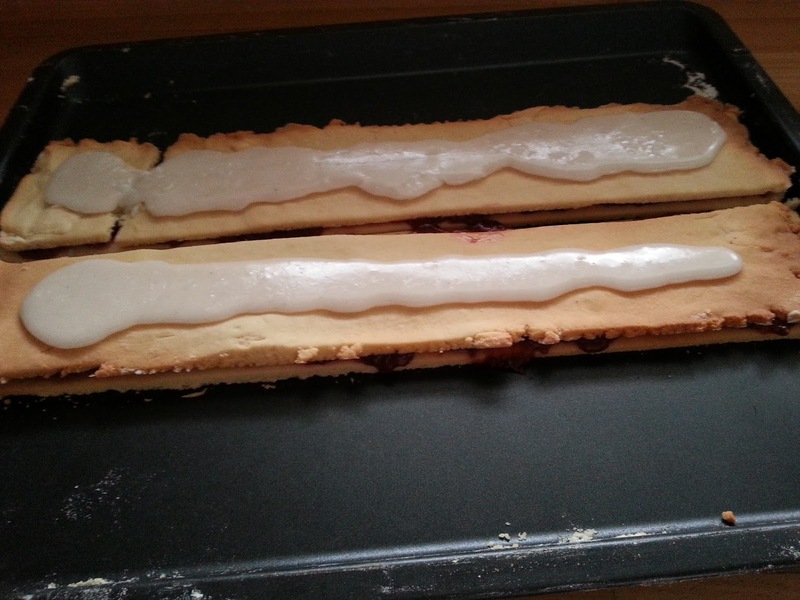 Hindbæresnitter are one of my favorite danish cookies. They are very easy to make. 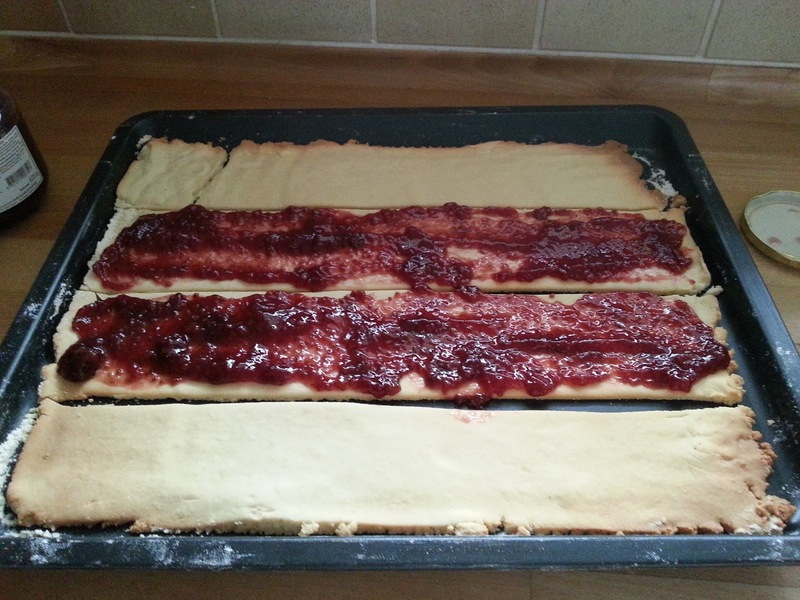 Spread raspberry jam on bottom layer and cover with top layer. Combine 1 cup confectioner's sugar with 2-3 Tbsp. water to form a thick glaze. 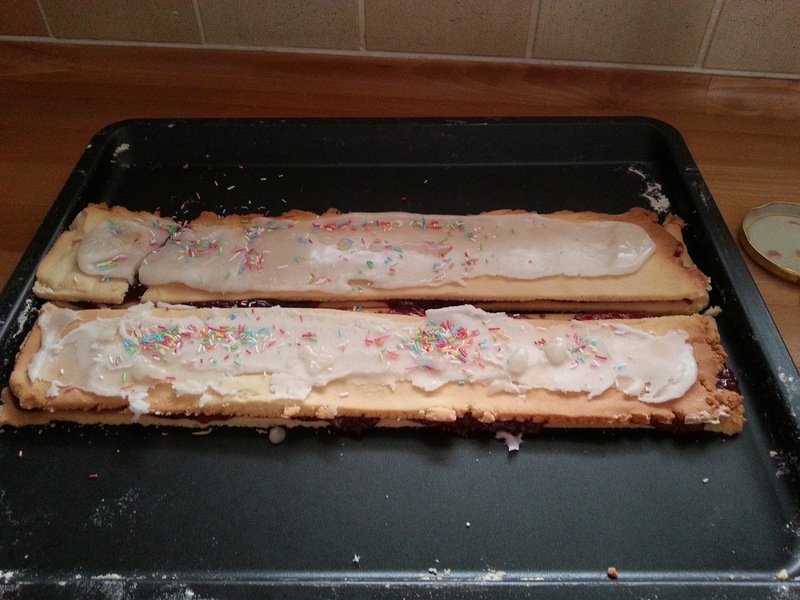 Spread on top layer of cookie and sprinkle with sprinkles. 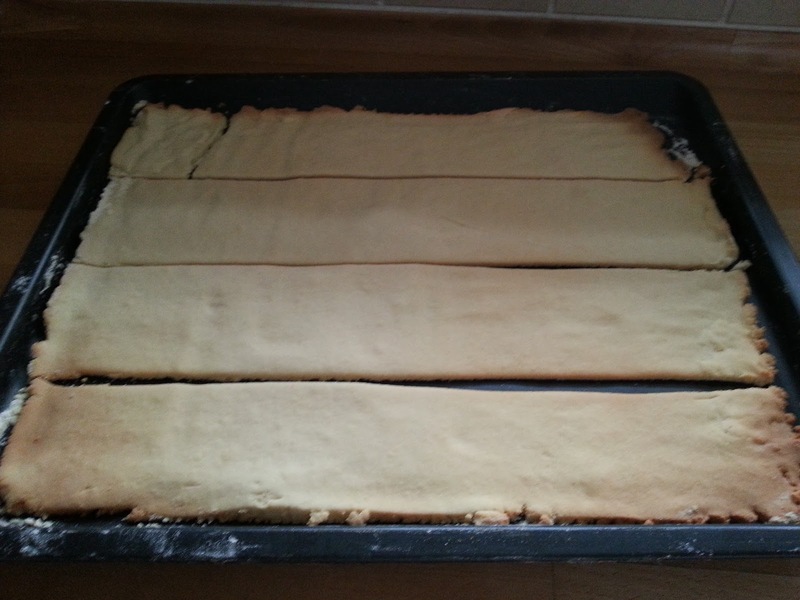 Once the glaze has "set" (about 10 minutes), cut into bars. 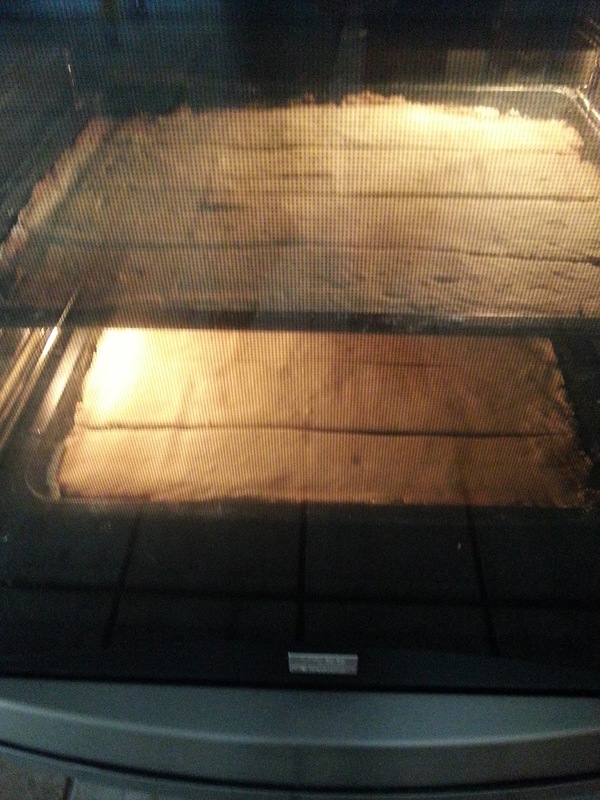 After baking you can see how they where scored and now can be moved easily. Put raspberry jelly on 2 of your pieces. 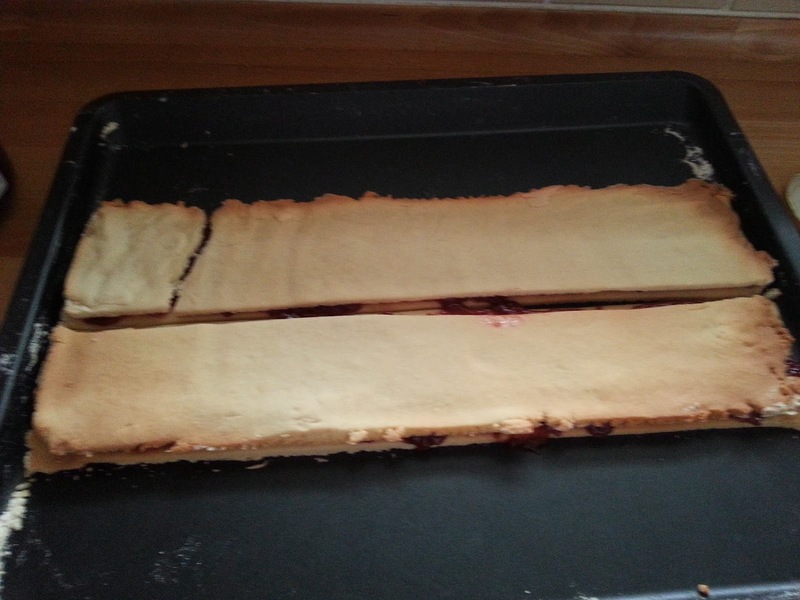 Place unjellied pieces on top of the pieces with jelly to make little sandwich. 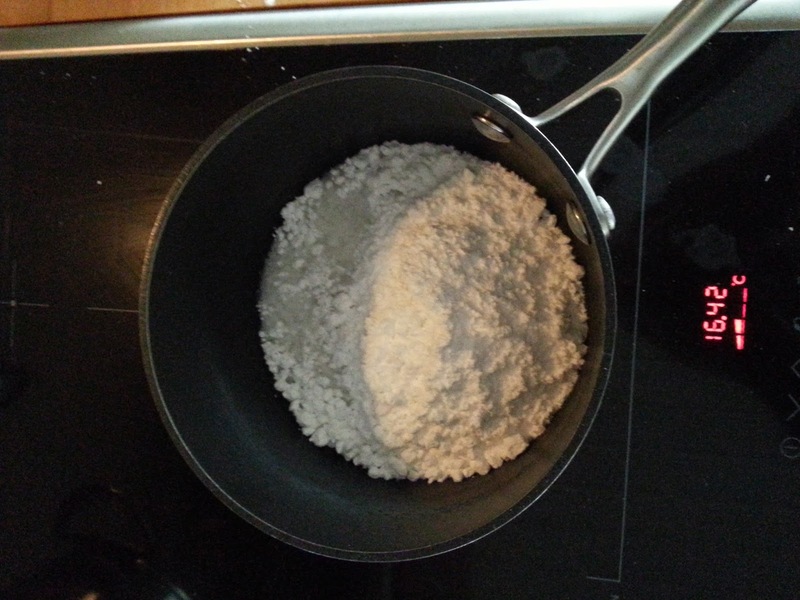 Warming up the confectioners sugar with a little water in a pan will make it easier to spread. Pore the sugar glaze on top of your cookies. Before the glaze cools add colored sprinkles.